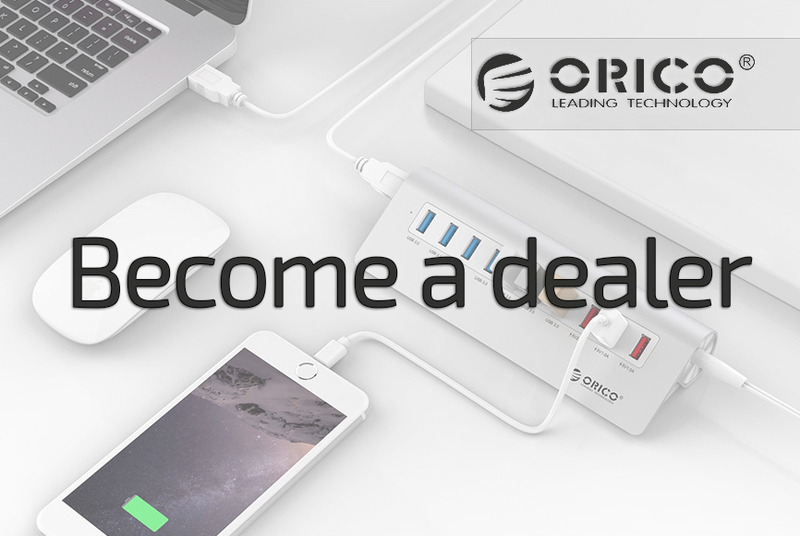 Provide your PC with two super speed USB 3.1 (gen 2) ports with this high end PCI Express card from Orico. This PCIe card has 1x USB 3.1 A female port and 1x USB Type-C female port. 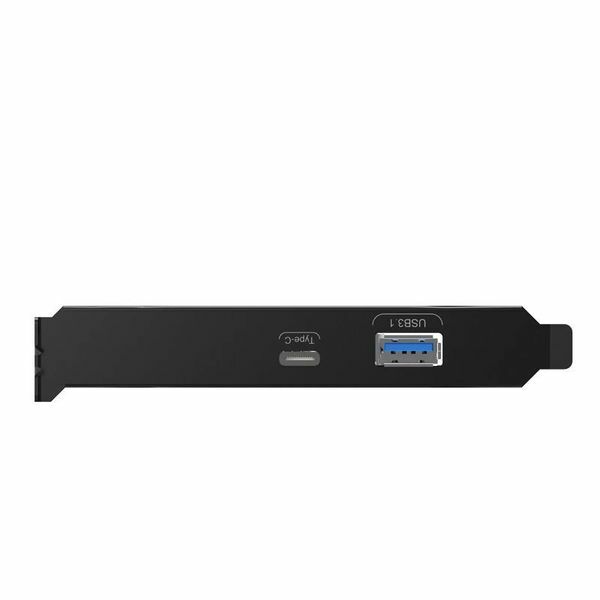 The USB ports can be used simultaneously and test results achieve a stable speed of 800Mbps (depending on the connected cables and the computer). 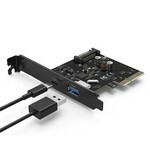 Note the difference with other PCIe cards where USB 3.1 is indicated. 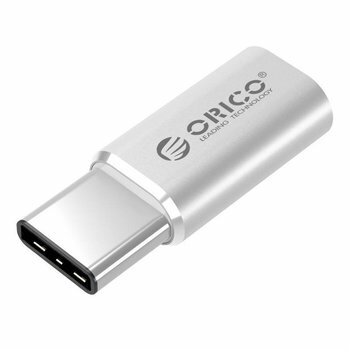 This often concerns USB 3.1 Gen 1 and this fully corresponds to USB 3.0. 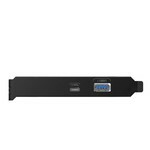 Only USB 3.1 Gen 2 reaches speeds of up to 10Gbps. 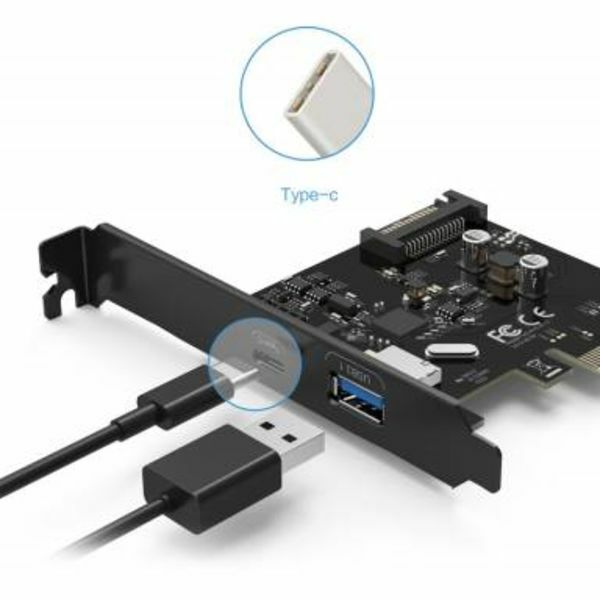 After installing the card and the software, your computer is equipped with a hypermodern Type C port and a USB 3.1 AF port, ready for the future! The PCIe card from Orico supports Hot Swap and the insertion of the card does not require a restart of the computer system. 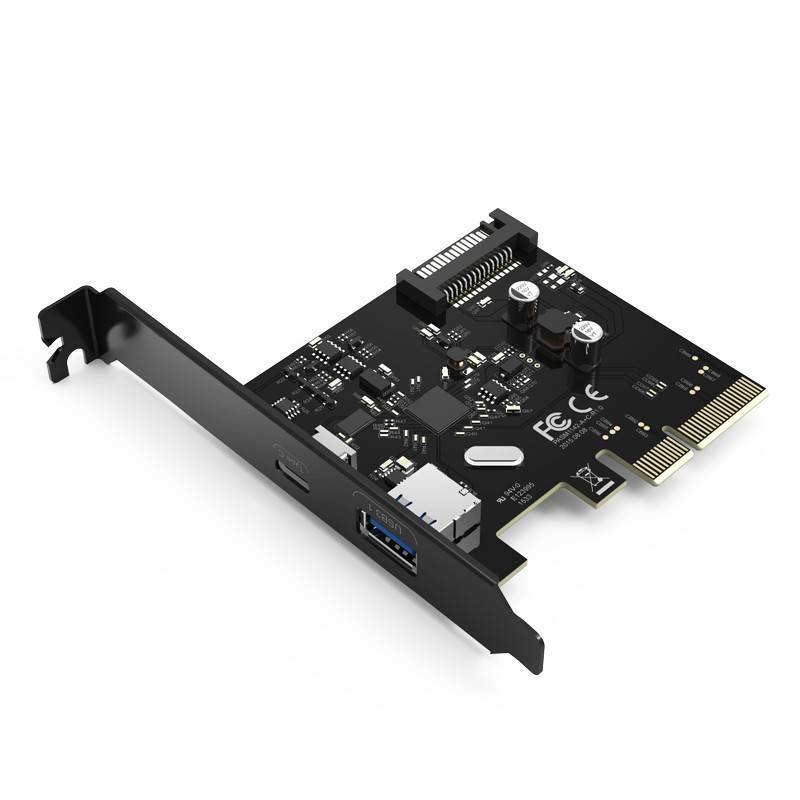 The Orico PCI Express card is powered by the 15-pin socket for the motherboard. Attach the card to the bay with the supplied screws. Anyone who has ever replaced a PCIe card will do this in a few moments! ✔ Suitable for a free PCIe slot on the motherboard (x4, x8 and x16). ✔ Up to 10Gbps via the USB 3.1 Gen 2 ports. ✔ built-in ASM controller chip for SuperSpeed ​​speeds. ✔ Includes CD with driver. 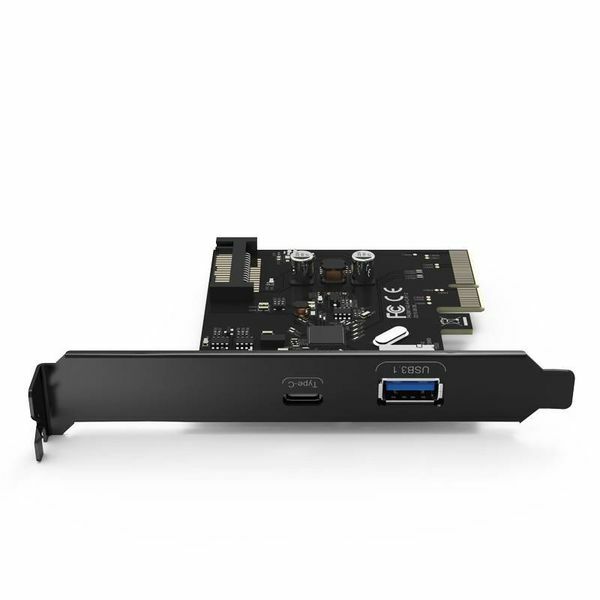 ✔ High quality alloy and black color of both the front panel and the PCB (4-layer).